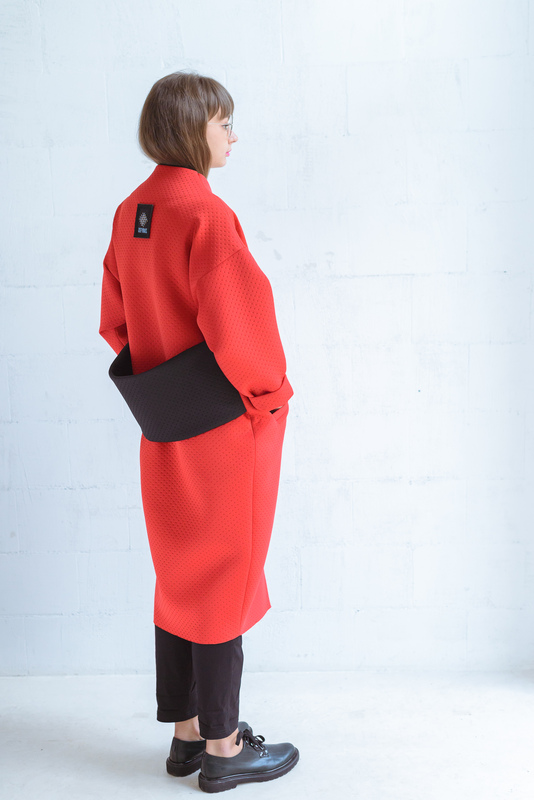 Marshmallow Japanese Style Coat is made from neoprene with detailing at the back. Cocoon silhouette makes this coat easy to wear for various body types and is suitable from sizes XS to L. This neoprene coat is inspired by Japanese traditional costume. You can wear it with casual clothes or style it with a cocktail dress and heels. You can choose a color of your choice. You can't dismiss a Zefyras piece for being immature. The playfulness of her pieces is made precocious by the sophistication of the silhouettes she plays with, the colours she melds together and the quality of the materials she uses. The value of her work is in the way she makes unusual fashion elegant and timeless. A Zefyras piece can live in your wardrobe for decades - and the moment you wear it again-it will be as relevant and as beautiful as the day you bought it. The founder started off making jewellery, and gradually expanded her label to fill a design studio. She’s based in Lithuania, where she creates her highly -sought after clothes and accessories out of sustainable fabrics, with her dedicated team. Zefyras creates outlandish, beautiful clothes that you won’t find anywhere else. Each piece is a wearable work of art. We adore her cloud-like neoprene ombre dresses, and textured, oversized coats.